Autus Web Design & Marketing would like to welcome Airfrost to our blog site. Airfrost are a long established air conditioning and low temperature storage company who have over 30 years experience in the industry. Based in Lancashire but serving the whole of the north west, including Manchester & Liverpool, Airfrost are leaders in the design, supply and installation of cold storage and air conditioning. With clients in the Public Sector and Private Sector there are few temperature management projects that Airfrost cannot complete from start to finish. Take the Health Service, for example. Airfrost supply and install close control low temperature cabinets for the safe storage of medicines and pharmaceutical products. Air Frost can also supply, fit and maintain air conditioning for health centres, GP Practices and entire hospitals. They can design and supply cold room technology to computer rooms whereby the air coolant doesn’t so much cool the air as directly cool the computer servers. Airfrost can even design and install cold storage units for hospital morgues. 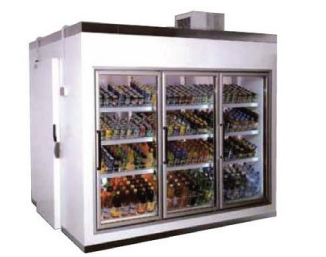 Without wanting to confuse one part of the business with another, Airfrost are also a major player in the bar and restaurant sector with a fantastic choice of chiller units, refrigerators, chest freezers, blast freezers, wine chillers, glass door bottle cabinets, ice makers and cellar cooling systems. The same is true of shops and retail outlets with Airfrost able to supply an incredible range of chilled display cabinets and freezers. Airfrost are able to support, service and maintain almost all air conditioning and coolant systems, keeping them as effective and energy efficient as the day they were first installed. All Airfrost engineers are F Gas Registered meaning Airfrost can offer annual maintenance plans allowing businesses to remain compliant within F gas regulations for all their air conditioning and temperature control equipment. For further information visit the Airfrost website at airfrost.co.uk or give them a call on 01704 840948.